Scale and Proportion: whether modern or classical in styling, an enduring design will have good proportional relationships on the exterior as well as in interior spaces. Larger “grander” spaces aren’t always better. 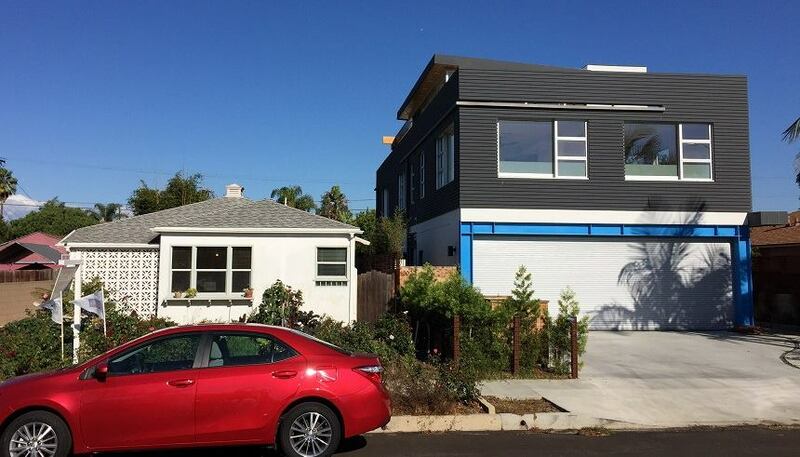 Below we see an example of a large home inappropriately scaled to its neighboring house. Part of the reason for this is that the new house is somewhat flat and undefined.